A basic bank account can be a great financial aid tool. As an employee, you are making money. However, you may be struggling with your financial situation. Perhaps you were recently let go from a job. Your boss took out too many quick business loans and had to let employees go. It could have taken you a while to find a new one. Maybe you are not earning as much as you would like now. You could have just had an increase in bills. Regardless of the reason, you want to open a bank account. 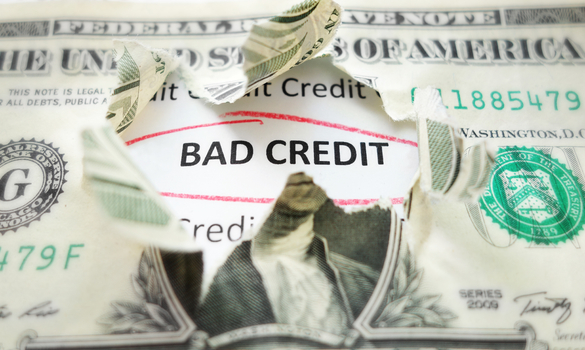 With bad credit, that can be difficult. Fortunately, it is not challenging with basic bank accounts. To discover how to open a basic bank account with bad credit, read on. To open a basic bank account, you must be of age. The age requirement varies from bank to bank. Most banks demand you to be at least 16 years old. However, some banks will not allow you to open a basic bank account unless you are 18 or older. In contrast, other banks offer basic bank accounts at the age of 11. While the limits must be respected, you should make your own informed decision. This is especially true if you are trying to open a basic bank account for a child. Ensure your child is responsible enough to keep a hold of their money. Furthermore, make sure you are at an appropriate age to open an account yourself. Do not wait until you are filing for bankruptcy. However, if you are already at that point, you can still get a basic bank account. Guarantee a better financial future for yourself by opening a basic bank account. As you know, basic bank accounts were essentially created for people with bad credit. However, every basic bank account is not fee-free. Some providers require very low payments. As an employee struggling with debt, you want to keep as much of the money you make as you can. If you are working double shifts, but spending an hour’s worth of work on fees, you are not saving as much as you can be. You are not effectively able to fix credit scores. Therefore, limit your options from the very beginning. Once you decide that you are at the right age to get a basic bank account, look for fee-free ones. Along with finding fee-free providers, read the fine print of your account options. Some basic bank accounts have more than just fees. With a basic bank account, you have other requirements and restrictions. For instance, a provider may demand that you close any other accounts. They could limit your usage to direct deposit. You could even be charged for certain purchases. Such charges can include using another bank’s ATM machine. As said above, you want to find the least expensive option to dig yourself out of a bad credit financial hole. In order to do so, you must read the fine print before opening a basic bank account. Another step toward opening a basic bank account is to provide original identification. There are numerous options for proof of identity. For example, you can use a driver’s license, a passport, or a birth certificate. Certain banks require different forms and amounts. Therefore, what is needed at one bank may not be needed at another. Perhaps you do not have a passport and cannot obtain one in a timely manner. In this case, you will have to look for a bank that excepts other forms of ID. Similarly, some banks may ask for more than just one form of photo ID. Ensure you have the correct proof of identity to open a basic bank account. Lastly, you will most likely have to undergo a credit check. You may be wondering how this could be if a basic bank account is for those with bad credit. There are various reasons for this prerequisite. Firstly, the bank could need it for identity confirmation. Secondly, you could be asked for it to ensure your eligibility. After all, basic bank accounts are strictly for those struggling financially. Imagine anyone is able to get a basic bank account. Banks would most likely have to put a hefty limit on how many basic bank accounts they can offer. They could even increase the qualifications. Then, when you seriously need financial help, you have less of a chance to get it. Credit checks are necessary to obtain a basic bank account for good reason. A basic bank account can genuinely assist you in fixing your financial state for the future. With an account, you should also learn how to manage debt. To qualify for a basic bank account, you must be of age. You must also find basic bank accounts that are fee-free in order to effectively save your money. To refrain from losing more money, read all of the fine print. Provide proof of identity. Additionally, a credit check may be required for eligibility and identity confirmation. You now know how to safely open a basic bank account with bad credit.